Housing and Urban Development Secretary Ben Carson speaks during his visit to the Vaux Big Picture High School in Philadelphia. Recently released emails suggest that Department of Housing and Urban Development Secretary Ben Carson and his wife had a hand in choosing a $31,000 dining set despite claims from the agency and the secretary himself that he didn’t play a role in making that selection. WASHINGTON (AP) — Recently released emails suggest that Department of Housing and Urban Development Secretary Ben Carson and his wife Candy had a hand in choosing a $31,000 dining set, despite claims from the agency and the secretary himself that he didn't play a role in making that selection. Government watchdog group American Oversight obtained internal HUD emails through a Freedom of Information request, and posted them publicly earlier this week. Among a 163-page cache of emails is an August message sent to Carson's executive assistant and chief of staff under the subject line, "Secretary's Dining Room Furniture Needed." In the email, department staffer Aida Rodriguez references "printouts of the furniture the Secretary and Mrs. Carson picked out." Another email shows a HUD staffer reaching out directly to Carson's wife Candy to ask if she's available to meet with a designer about redecorating her husband's office. Rodriguez wrote in another message that the cost of the dining set, which was estimated at $24,666— just under the $25,000 budget limit_was "a very reasonable price and the funds are available." "We also have a justification for the cost (as you know, the furniture hasn't been changed since 1988) so this should not be a problem," she wrote. It wasn't clear from the emails why the cost jumped to $31,000. The emails also show that Carson wanted to use the funds earmarked for furniture to instead have portraits painted of prior HUD secretaries not included in a wall of portraits in the building. 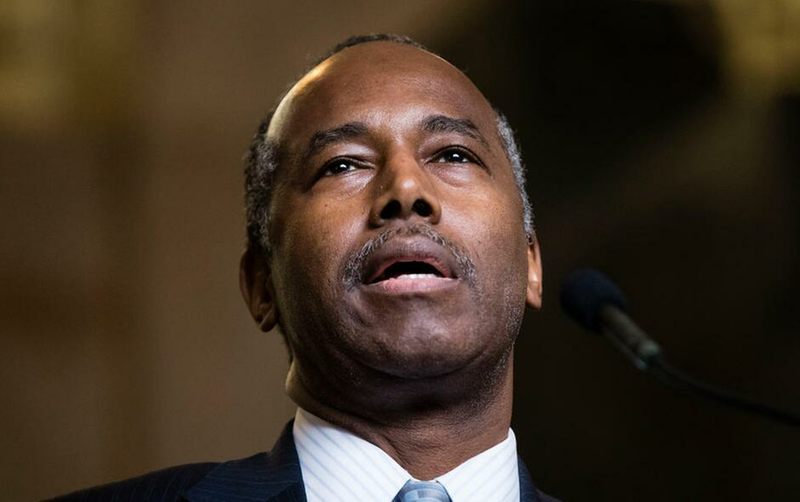 HUD has denied that Carson knew about or played any role in the dining set purchase, which prompted outrage from the public and lawmakers. In a statement provided to CNN, Carson wrote that he was as "surprised as anyone to find out that a $31,000 dining set had been ordered." Following reports of the purchase, Carson asked that the order be canceled. Two Democratic senators urged the HUD Office of Inspector General to open an inquiry into the purchase. Carson earlier this year asked the OIG to investigate whether his family's involvement in agency matters constitutes a conflict of interest. In a statement Wednesday, HUD spokesman Raffi Williams said, "when presented with options by professional staff, Mrs. Carson participated in the selection of specific styles." Carson isn't the only Cabinet secretary under fire for lavish spending. Last week, The Associated Press reported that the Department of the Interior spent $139,000 to repair doors in Secretary Ryan Zinke's office.